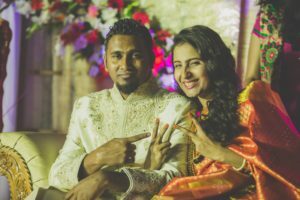 Meet the Balans - On our wedding day! Even though it feels like we’ve been married for a long time, we celebrated our second wedding anniversary just a month ago. It’s probably because of everything we have had to go through the past two years of being together - moving out of the country, starting our life from scratch and surviving on our own without the companionship of family or friends. How would we define marriage? Marriage is a decision. It’s a decision you take willingly, confidently and joyfully. Of course this doesn’t mean that once you say ‘I do’, life is all about rainbows, unicorns and a bed filled with roses. Miscommunications, disagreements and silent treatments are a part and parcel of everyday life. Despite the flaws and imperfections, having a spouse who offers unconditional love and displays so much grace has made the journey worthwhile. 1. To put God first: The only constant factor that has brought us thus far is God. God is the glue that has kept us together through the valleys and mountains. We have made it a point to spend time in God’s presence seeking His will over our lives. And prayer has helped us become better versions of ourselves. Spiritual intimacy has only only strengthen our relationship but it has also helped us resolve all our issues based on God’s Word. 2.To trust each other and rely on God: Living on our own meant that we had no one to go to other than each other. We only had each other to talk to, only each other to fight with and only each others shoulders to cry on. There were times we felt lonely and there were times we doubted the decision we took to move out. Why did we leave our family? Our house? Our jobs? Our friends? It’s easy to depend on God when we have everything laid out on a silver platter. The true test is when we have nothing else to depend on a part from Him and His provision. The first few months in Dubai were the toughest. It was disappointing enough to have no job in hand but to make matters worse, we had to move out and search for a place of our own with almost zero finances left. Just when it seemed like it was the end, God gave us a whole new beginning. Not only did we have two jobs in hand, we had enough finances to move into a place of our own. It’s during these years that we have learned to depend on each other and completely trust in God’s direction and provision. 3. To start from scratch: The past two years have been some of the most challenging years of our lives. Moving to a foreign land, receiving job rejection emails, house hunting in 50 degrees celsius, spending weekends alone, learning how to cook with the help of youtube videos, having zero finances and starting our life, quite literally, from scratch. The first few months of living on our own were quite difficult. We had never lived without our parents before and neither one of us knew how to set up a house on our own. It was truly a learning experience and absolutely gratifying. We finally started to learn how to maintain a household. Though it has been rough, we wouldn’t have had it any other way. 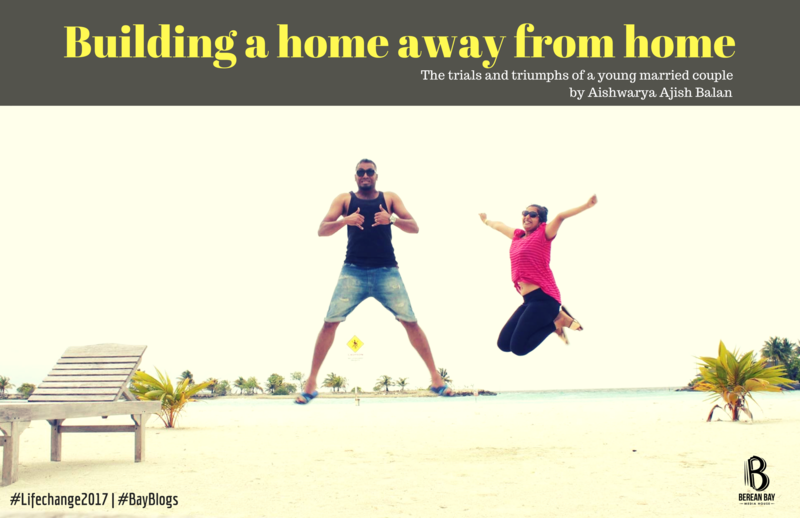 Being plucked out of our comfort zones and creating a home away from home has been a blessing in disguise. 4. To Manage our finances: Money management was something we never had to worry about while living with our parents. But now that we were on our own, we had to take calculated decisions on our finances. From grocery shopping to travel expenses, from saving for rent to tying a leash on unwanted spendings. 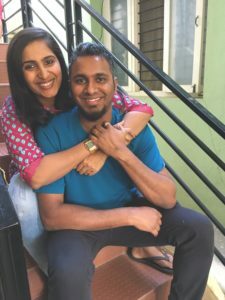 It was hard enough that we were in a new country and we had to adapt to the currency change but it was even more challenging to manage everything on our own. We learned to be content with what God had given us and it brought us together in a new and deeper way, as we trusted in God together and followed His plan. 5. Growing together: Being married has it’s own challenges and to add to it, we had come to a land far away, away from anything familiar. Needless to say it hasn’t been easy. But through these circumstances we have noticed one visible sign of growth - maturity. There are many things you will discover about your spouse that you may not particularly like. It may be the way they squeeze the toothpaste, leaving wet towels on the bed or tugging the blanket at night leaving you frozen. It’s at this stage we learnt about forgiveness and accommodation. Instead of trying to change the other, we learned to celebrate our differences. Which wouldn’t have been possible within the comfortable setting of our home back in India. So whats the verdict? Our marriage has been an exciting journey that we get to experience together and we cannot wait to see how the story unfolds. "Love is patient, love is kind. It does not envy, it does not boast, it is not proud. It is not rude, it is not self-seeking, it is not easily angered, it keeps no record of wrongs. Love does not delight in evil but rejoices with the truth. It always protects, always trusts, always hopes, always perseveres. Love never fails (1 Cor. 13:4-8)." 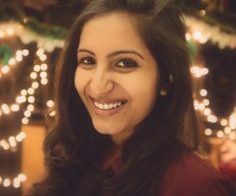 Aishwarya Ajish Balan is a Marketing and Social Media professional with over 5 years of experience in the field of Print, Video Production and Exhibitons. She's a complete foodie who is passionate about photography and music.